The FIRST® LEGO® League World Festival is a huge competition showing off some seriously cool LEGO robotics and brilliant inventions. People from over 80 countries came to the festival in the US to show off their skills. 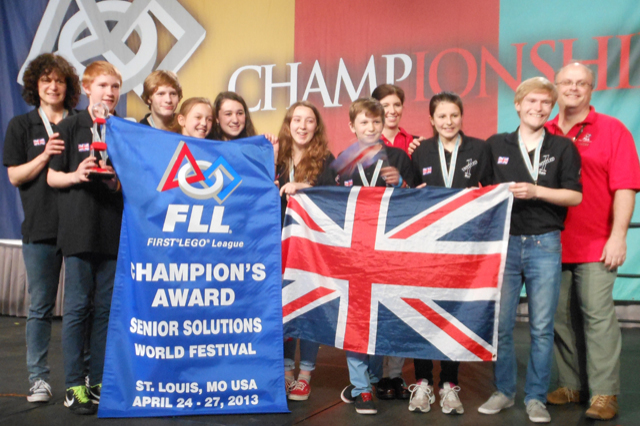 And this year a UK team were crowned the ultimate champions! A team from Bath called ‘Untitled-1′ entered and wowed the judges with their doorbell fingerprint scanner, their team work and their awesome LEGO® robot called ‘The Beast’ which had to complete a number of challenges. Do you think you could be a FIRST® LEGO® League World Festival champion? Let us know in the comment box below.